Sneakers may be worn for all classes, although indoor cycling shoes are highly recommended; bikes are compatible with SPD cleats. Towels and filtered water cooler are provided and bottled water is available for purchase. Changing rooms are available but no showers. Please arrive 10 to 15 minutes before start time. 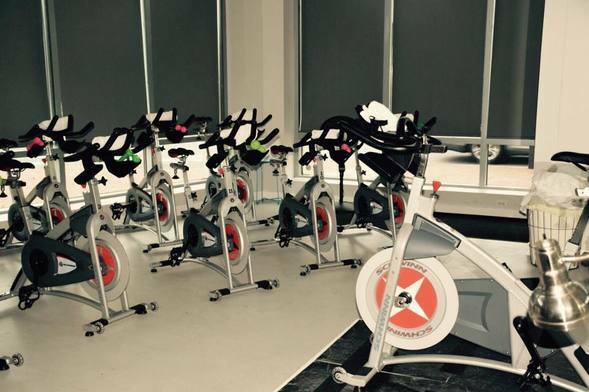 Bikes will be given to waitlisted members 5 minutes before class. There is 2-hour free parking along Main Street, as well as certain visitor spots along Warren St, Park St & Henley St.
Charlestown's first boutique indoor cycling studio offering a full body workout on a stationary bike.